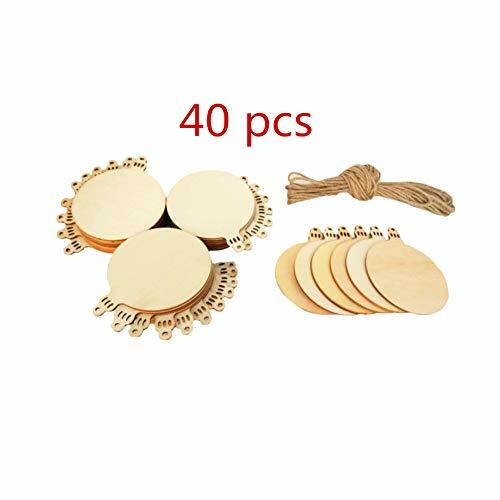 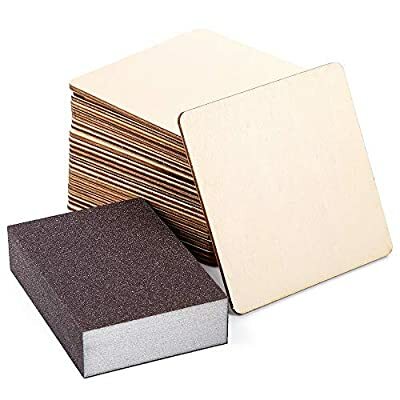 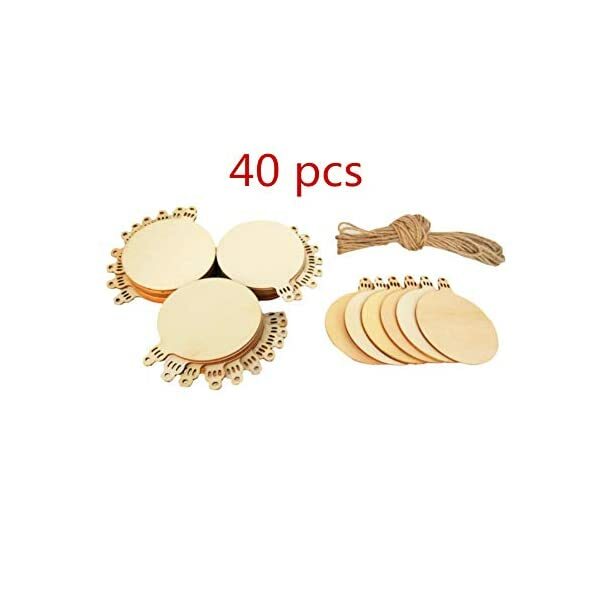 Included: 40 pcs round wood slices and hemp rope ，hemp rope can be cut according to your own needs, enough to meet your needs. 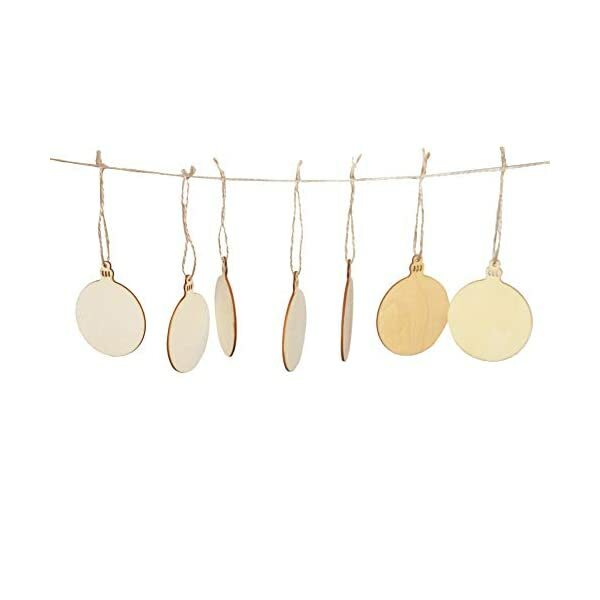 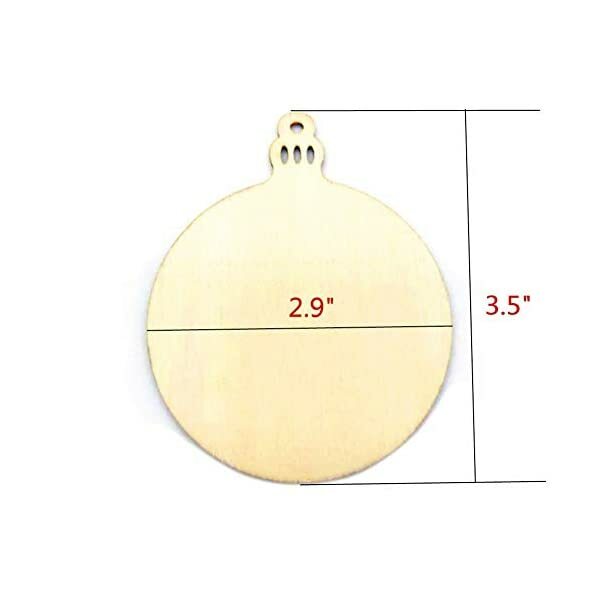 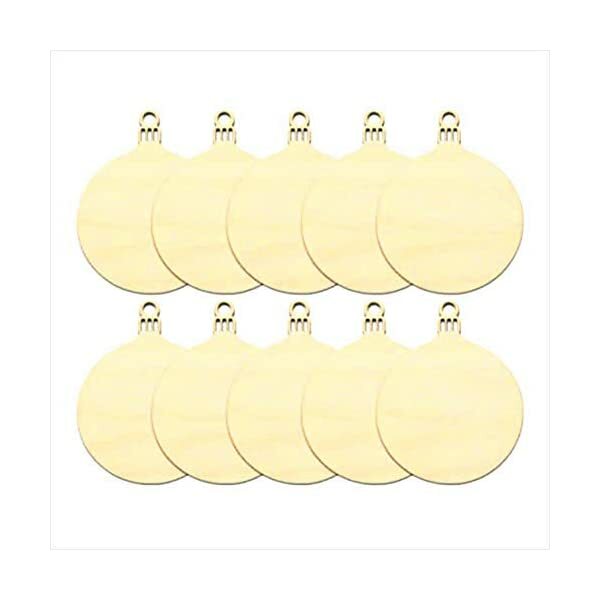 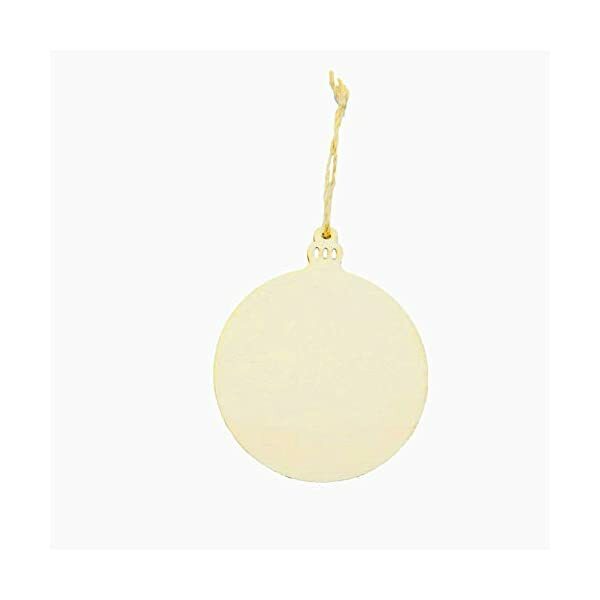 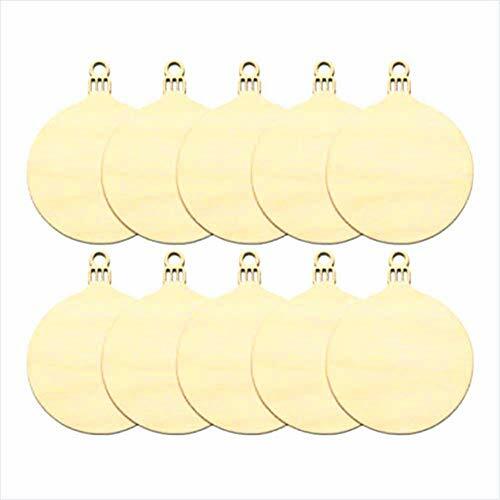 Material: The Christmas Hanging Tags are made of from premium quality natural wood, both sides are sanded to a smooth finish ready to paint, stain, decorate . 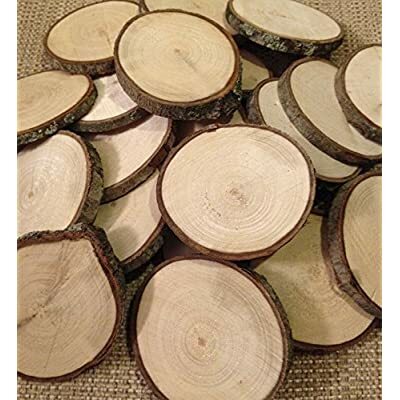 Size:Wood slices size is 3.5×2.9 Inch，each wood slice has a thickness of 0.1 inch / 0.3 cm . 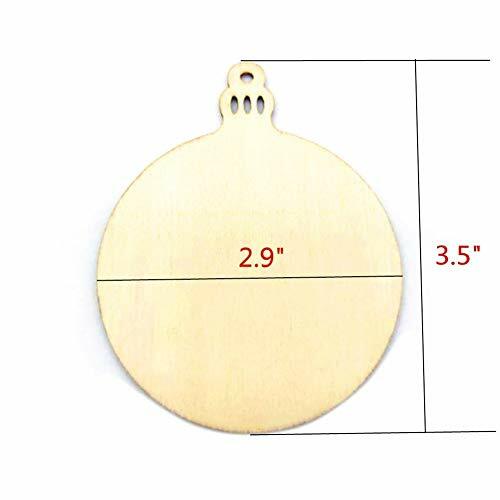 It is a great idea that family can sit around to enjoy the fun of designing and painting, giving a Christmas touch to your holiday season. 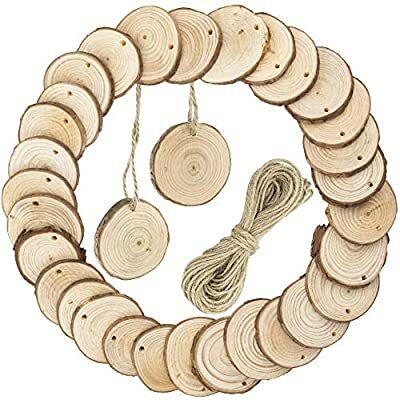 Perfect for Christmas and a fantastic activity. 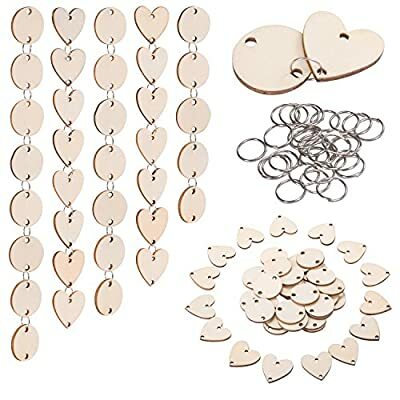 Unleash your full creativity and create unique decorations not only for Christmas but also other festivities such as DIY crafts, coasters, party decorations, gift tag, handwriting tag, wish card, party and wedding card. 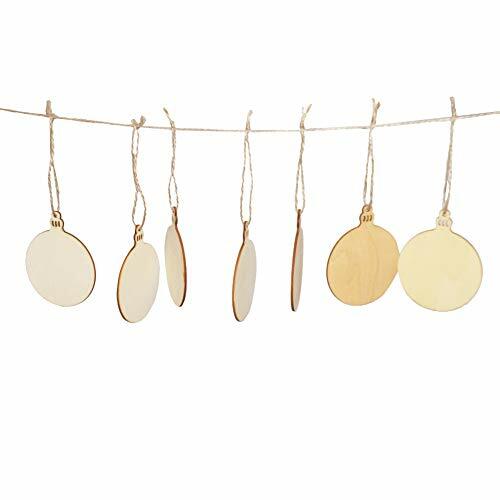 Easy to write or paint, every wooden slice features a small hole which can be threaded with string, ribbon or lace for you hanging easily, creating a vintage and rustic look for your Christmas party. 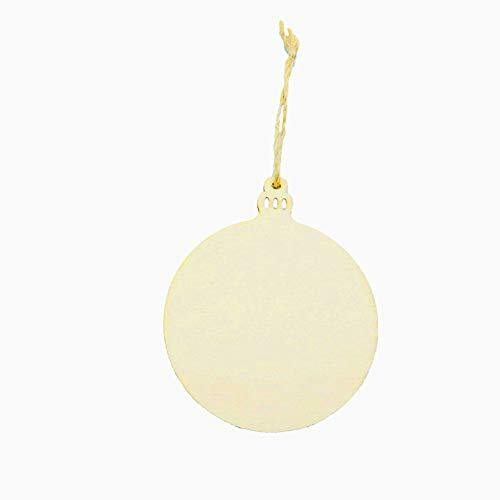 Great for making Christmas ornaments、 DIY crafts, party decorations、gift tag、handwriting tag 、wish card、 party and wedding card.